Commercial real estate brokers specialize in the sale of office buildings, hotels, industrial centers, and retail spaces. Unlike residential brokers, commercial brokers help clients navigate zoning issues and obstacles unique to commercial listings. To become a commercial broker, gain experience as a general real estate agent, then pass the broker’s exam and build your network. After earning your real estate broker’s license, it’s important to maintain your credentials through continuing education credits. Real Estate Express offers commercial real estate-specific continuing education courses that can help train brokers who are already immersed in the industry. Plus, all subscribers get 24/7 access so you can study on your schedule. Click here to get started. Here’s how to become a commercial real estate broker in 11 steps. To become a commercial real estate broker, most states require you to have a commercial salesperson’s license first and at least one or two years of experience as a licensed agent. Before you start the licensing process, visit your state’s real estate board to familiarize yourself with local requirements like real estate education, agent experience, and exams. Check the map below to learn more about state-specific requirements. Once you have met all eligibility requirements and understand the prelicense requirements in your state, the next step is to prepare for and sign up for the commercial real estate agent exam or to register for broker classes, depending on where you are in your career. Every state requires aspiring real estate agents to take prelicensing real estate education courses. Course requirements vary by state but, typically, involve between 60 and 150 hours of coursework and can cost between $600 and $800. Visit your state’s real estate board or an online real estate school to learn about course requirements and sign up for online or in-person lectures. In general, prelicensing courses cover topics like property law, mortgages and financing, and contracts. Education providers offer a variety of course formats, including in-person lectures and online-only options with pre-recorded lectures and online or print materials. Once you take the courses, most states require you to pass the course provider’s exam and provide a certificate of completion when you register for the licensing exam. For more information on where to take real estate courses, check out our guide to the best online real estate schools. In addition to passing a test as part of your state’s prelicensing education requirements, you must pass your state’s licensing exam before becoming a commercial agent. Register for the exam through your state’s real estate commission website, then come to the testing location on your scheduled test date with the required materials. These often include several forms of ID, proof of education completion, and test-taking implements like a simple calculator. The number of exam questions varies by state, but every real estate exam includes multiple choice questions covering national and state-specific content and generally takes about two hours to complete. Once the test is complete, most states will let you know right away if you passed. You can take proof of this, supplied at most test centers, to the state’s real estate website and complete an application for a real estate license. To help you prepare for the exam, we compiled the six best real estate practice exams for 2019. You can also check out our ultimate guide to acing your real estate exam on the first try. If you are already a licensed agent in your preferred market, skip to step 7 — taking and passing the real estate broker’s exam. As you prepare for the commercial real estate salesperson’s licensing exam, give serious consideration to your ideal market and the type of real estate you want to sell. If you’re already established in a city and planning to become a commercial broker down the line, choose the commercial properties you want to specialize in, such as office buildings, restaurants, or retail. Then, focus your farming on areas with a lot of these commercial properties. If, instead, you plan to start as a residential agent and advance to a commercial broker, make sure you choose a market that has a viable commercial district. Finding an area that offers residential and commercial potential means that you can build your local network from day one and start familiarizing yourself with the commercial climate while you build your residential business. Once you take the broker’s exam, you’ll be better positioned to start a commercial brokerage. All states require at least one year of experience as a licensed real estate agent to obtain a broker’s license. Many states like California and Florida require two years of agent experience while others, such as South Carolina, require three. To get the kind of agent experience that’s critical to your success as a commercial real estate broker, create a professional web presence, optimize your listing materials, and focus on gaining transaction experience. If you’re just starting as a real estate agent, check out our tips for new agents. In addition to gaining experience as a commercial real estate agent, Real estate agents should focus on growing their network prior to making the jump to being an independent broker. This will give you a safety net when you start in the commercial arena. You will already have a knowledge of local properties, a relationship with mentors, and referral opportunities. To do this, perfect your online presence and position yourself as a real estate expert in your farm area. All states require prospective commercial brokers to take additional real estate courses prior to securing a license. After earning your commercial real estate salesperson’s license and working as an agent in the state for the requisite amount of time, sign up for one of the broker education courses approved by your state licensing board. Give yourself several months to complete it. Broker licensing courses vary by state but typically include subjects like real estate practice, real estate appraisal, and various types of law. Keep in mind that course requirements don’t differ between residential and commercial brokers, but states may offer course options better suited to commercial agents, such as ethics in commercial real estate. The required number of credits and approved course providers also differ, so contact your state before signing up for classes. For more information read on our article on top real estate broker classes. After completing qualifying broker courses and meeting any additional requirements like a background check, register for and pass the real estate broker’s licensing exam. Passage rates are typically advertised by exam prep providers, with the best boasting numbers around 90%. Real estate broker licensing exam content and procedures are extremely state-specific, so contact your state’s real estate licensing board to learn about your exam. In addition to meeting exam eligibility requirements, familiarize yourself with what to do after you pass the exam. Many states have additional application requirements at this stage of the process such as completing advanced real estate education and submitting a final application with your exam results. As always, visit your state licensing board website to ensure you have a complete understanding of the entire broker licensing process. For more information, see our step-by-step guide to becoming a real estate broker. Commercial brokers can work without the oversight of another licensed real estate professional; this can be a scary prospect — especially in a competitive market — but also gives you the freedom to build your brand and clientele. To make your work as a broker successful, learn broker-specific laws and avoid common pitfalls. If you want to start your own brokerage right away, visit our step-by-step guide to starting a real estate brokerage. Before you start a brokerage or begin work as an independent broker, familiarize yourself with the processes that differ from residential real estate. The two major areas of differentiation are real estate appraisals and zoning and use laws. Although there are others, it’s important to have a strong grasp of these before practicing. Frequently, commercial appraisals are much more complicated than residential appraisals, and it’s necessary to understand what factors are considered in an appraisal, what kind of reports you can order, and the effect of different types of property ownership rights on appraised value. Consider taking a continuing education class through the National Association of Realtors (NAR) on this subject or review similar course offerings from other continuing education providers. Commercial zoning and use laws are also much more nuanced for commercial real estate than residential. When starting as a commercial broker, familiarize yourself with local laws by visiting your city or county zoning department and working with agents and brokers with experience in your geographic area. Once you understand the local zoning ordinance, educate yourself about the land use restrictions for each new commercial property you encounter. It’s important not to think of commercial real estate sales as residential sales; many new brokers do, which causes them to trip over different processes and tools. Whether you’re starting your own brokerage or working independently, it’s important to choose the right brokerage management software, invest in relationships with local brokers rather than focusing on the competition, and find a commercial real estate customer relationship management (CRM) tool that lets you generate quality leads. For more information on how to avoid common commercial real estate investment mistakes, visit our guide. Build your brand and reputation by developing a marketing strategy with search engine optimization (SEO) tools, email campaigns, and social media ads. Create high-quality and industry-specific content to share on your website and build your reputation as a knowledgeable broker with your finger on the pulse of the local commercial market. Paid campaigns through Facebook Ads and Google Ads are also a great way to expand your reach. 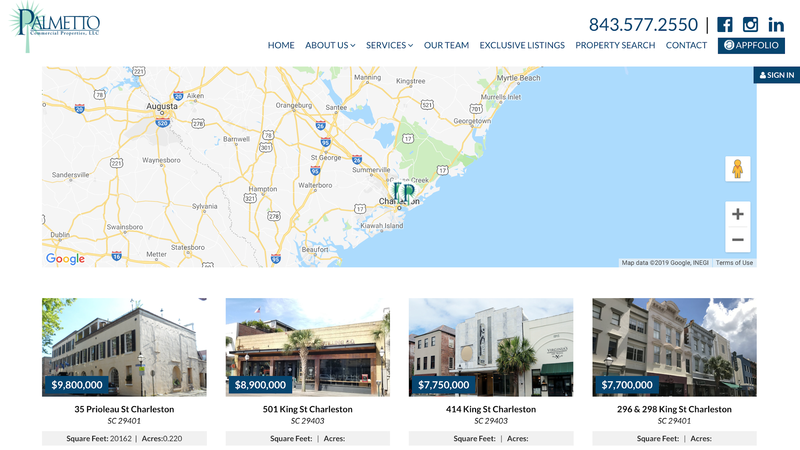 In addition, commercial properties are particularly well-suited to IDX-enabled and listing-specific websites, which let brokers highlight everything from listing photos to amenities, local public transportation, and walking scores. Commercial real estate listing sites like CoStar and LoopNet are also a great way to increase the visibility of your properties. For more inspiration, check out our list of 45 creative real estate marketing ideas and examples of great real estate ads. Screenshot of internet data exchange (IDX)-enabled website. Once you’re a licensed commercial real estate broker, you must maintain your license by meeting continuing education requirements. Continuing education requirements vary by state, so familiarize yourself with local requirements and set aside time to take requisite courses. To build your commercial real estate expertise, you can choose courses like Commercial Ethics, Anatomy of a Commercial Building, and Client Advocacy in Commercial Real Estate. Also, remember that earning your broker’s license doesn’t mean you shouldn’t continue to network within your community. In fact, having an experienced mentor and strong network of agents can help lessen the challenges of transitioning to commercial broker work. Expanding your network will also make it easier to grow your brokerage when the time comes and gives you an advantage with clients interested in commercial properties outside your primary market. How Much Do Commercial Real Estate Brokers Make? The salary for a commercial real estate broker is largely location-dependent. On average, however, Glassdoor reports that the annual base salary for a commercial broker in the U.S. is $65,000. Commercial real estate brokers typically earn 4% to 6% of the purchase price, with that amount split between the buying and selling brokerages. Do Commercial Real Estate Agents Make More Than Residential Agents? 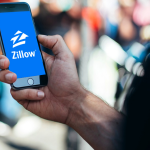 According to Monster, the average commercial real estate agent makes $85,000 per year as compared to $39,300 per year for residential agents. However, average salaries depend largely on the market, and this can vary widely between residential and commercial agents. How Long Does It Take to Become a Commercial Real Estate Broker? The amount of time it takes to become a commercial real estate broker varies by state. However, most states require between 30 and 90 hours of prelicensing education to become a real estate salesperson, one to two years of experience, and an additional 30 to 90 credits of broker-specific prelicensing education. There is no separate certification or coursework needed for commercial specialization. What Are Popular Schools for Broker Exam Prep? Popular schools for real estate broker exam prep include Real Estate Express and Kaplan. When choosing a broker exam prep course, keep in mind that the exam content is extremely state-specific, so it’s important to choose a provider that offers coursework aligned with your state exam. You may find that a school that operates only in your state is the best option. How Do I Start Selling Commercial Real Estate? To sell commercial real estate successfully, you’ll have to pass the real estate agent licensing exam, then join an agency or brokerage that specializes in commercial real estate. Once hired, begin reaching out to venture capitalists and real estate investors who are connected to commercial developments in your area. Also, take continuing education classes that will train you in commercial real estate-specific subjects like commercial appraising and zoning. Commercial real estate brokers can work independently of other real estate professionals to represent buyers or sellers of real estate. For that reason, licensing involves numerous real estate courses, gaining experience as an agent, and passing a broker’s exam. It’s important to note that while commercial brokers don’t require certification to specialize, broker licensing requirements vary by state, so contact your real estate board to find out more about licensing. Once you pass your broker’s exam and earn your commercial real estate broker’s license, keep your continuing education credits up-to-date with Real Estate Express. In addition to helping you keep your broker license current, you can learn more about the commercial real estate world with legal and process courses as well as niche-property courses. Click here to get started. Kiah Treece is a staff writer at Fit Small Business. As an MS/JD, Kiah was formerly an environmental scientist and attorney specializing in regulatory compliance and real estate development. During law school, she served as an editor of the Law Review and edited manuscripts for faculty and students around the world. When not writing for Fit Small Business, Kiah enjoys yoga, crafting, and working on the farm she shares with her husband and pet pig. Pass your exam the first time or your money back!